Australia has welcomed 2017 with a massive fireworks display at Sydney Harbour. Some 1.5 million people had been expected to turn out on the waterfront. 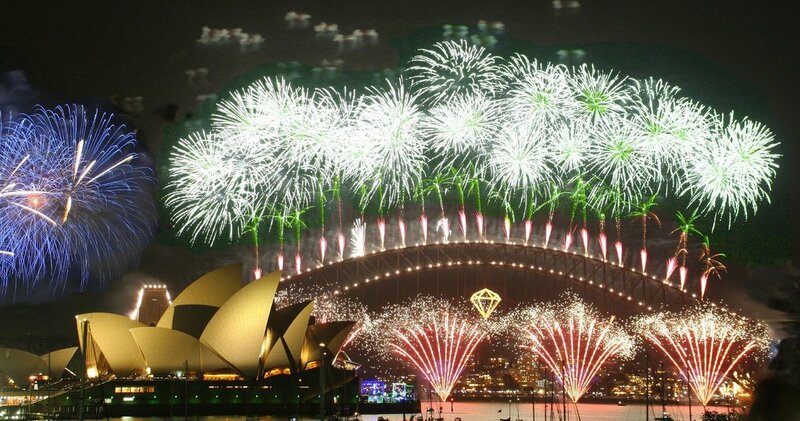 Earlier, New Zealand’s Auckland has become the first major world city to welcome the New Year. Many cities around the world have stepped up security for New Year’s Eve celebrations, after a year in which attackers drove trucks into crowds in Berlin in Germany and Nice, France. Thousands of extra police will be on duty across major European cities and in the US. In Madrid, Paris and New York, concrete barriers and heavy goods vehicles will be used to block off central squares where crowds gather to celebrate. The midnight fireworks display at Sydney Harbour paid tribute to Prince and David Bowie, two music superstars who died in 2016. Pacific islands including Samoa, Tonga and Kiribati entered 2017 at 10:00 GMT, followed an hour later by Auckland, where fireworks erupted from the 1,080ft tall Sky Tower in the city center. Meanwhile, a “leap second” will be added to the countdown to compensate for a slowdown in the Earth’s rotation. The extra second will occur as clocks strike midnight and a time of 23:59:60 GMT will be recorded, delaying 2017 momentarily. This is required because standard time lags behind atomic clocks.